An age-old comment about log homes is how “dark” they are on the inside, but this is something that does not have to be true anymore. Beyond the overall structure of the house, the windows are the single most important way to make a creative statement about your new log home. Ranging from gable dormer windows to a wall of gable end windows of all shapes and sizes, letting natural light into your home has become an integral part of the design process. Though our manufacturer, Honest Abe Log Homes, we offer a wide range of choices of windows. Homeowners can select from our standard, economical wood windows to our premium aluminum clad wood windows offered by Jeld-Wen in a variety of colors. We now sell Pella and Andersen windows and doors as well. You can select from different sizes of our double-hung or casement windows. In addition, our fixed windows come in different shapes, sizes and clad colors, from angular to arched, all to accent the beauty of your home. Exterior doors with regular or leaded glass and/or sidelights are also available. We offer a wood-grain, stainable fiberglass door with glass options, along with patio, slider and French doors. Doors are offered in the aluminum clad with colors to match the clad windows. Doors may also be special ordered to meet the customer’s unique design ideas. 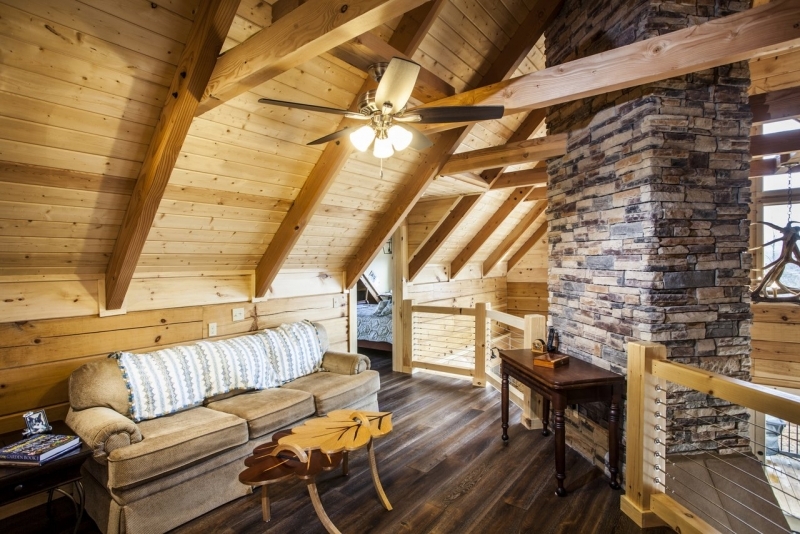 Let us provide the perfect window and door solution for your design to purposefully take advantage of natural light to enhance the beauty of your new log home.